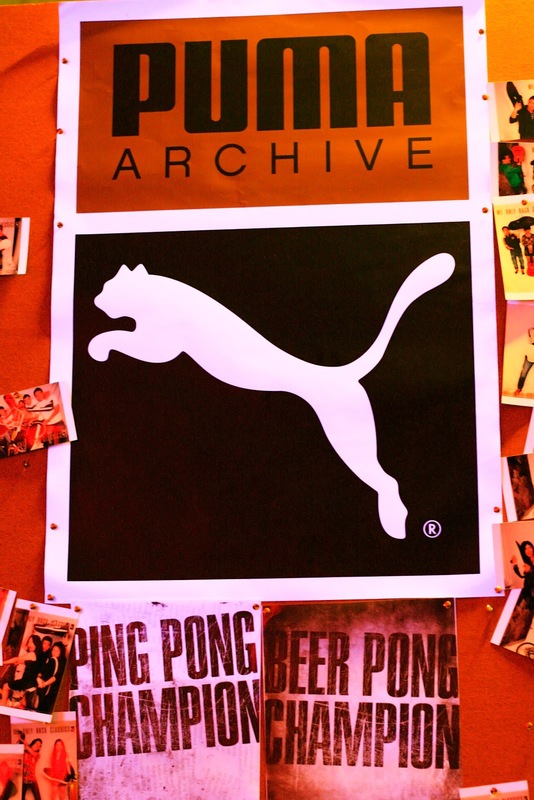 Presenting the Singapore edition of PUMA Archive Uncovered Series that have been held in Australia, Phillipine, China, HongKong, and Taiwan. 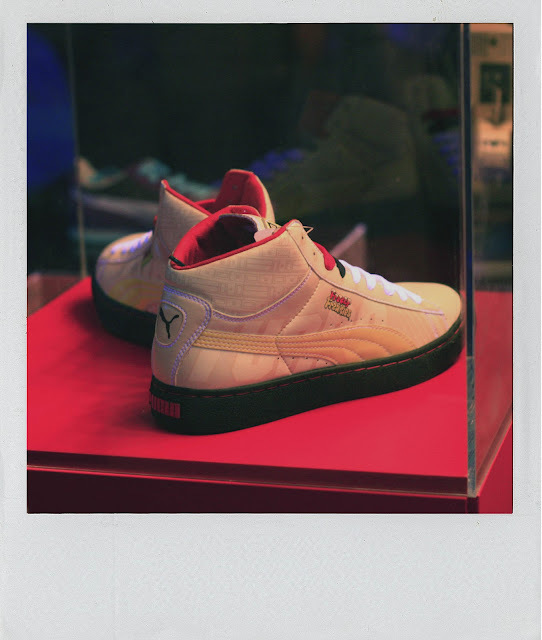 The event organized by Present Purpose, marked the showcase of PUMA Archive collections based on 60 years sports history. It's not only about the autumn winter collection that enchants the sneakers fetish that night, but also some perfomance from the local bands Run Neon Tiger and The Karl Maka, also the one and only Ginnete Chittick spinning on the deck. 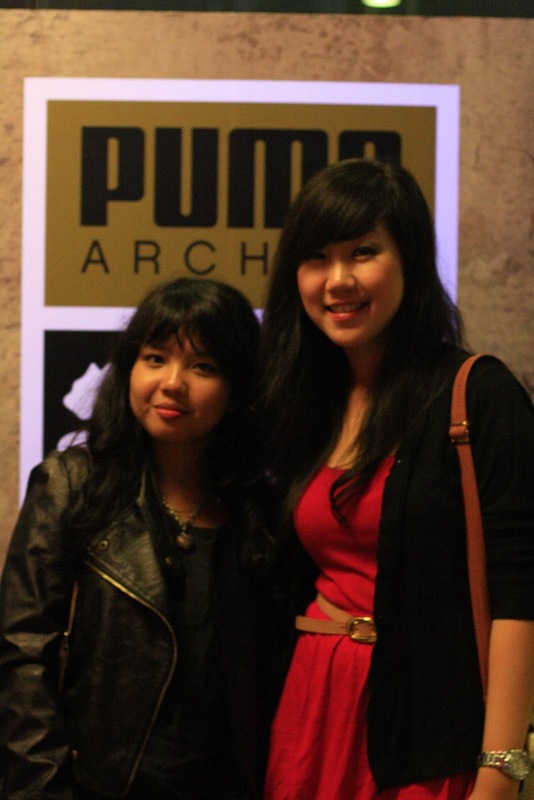 Moreover guests also had some fun by joining the photobooth, pingpong, and beer pong game. 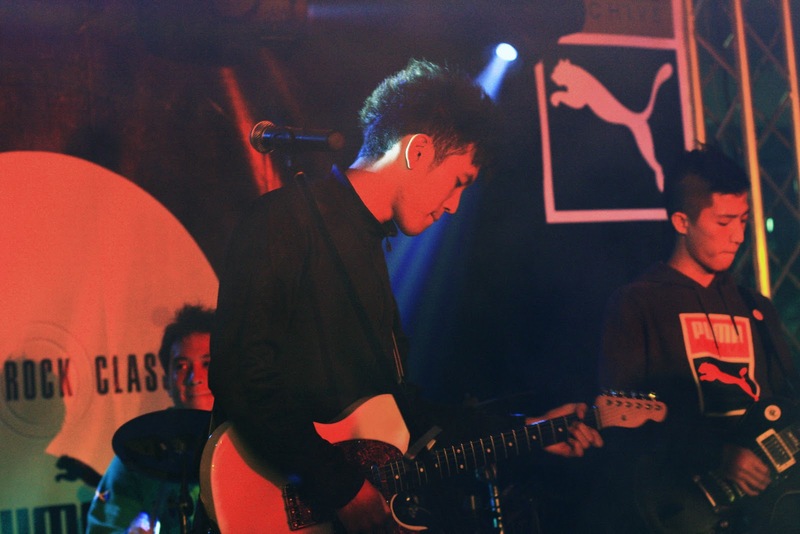 It's great to see how PUMA, through this event, incorporates music and some fun into the fashion, marking the enjoyment of youthful spirit presented through sports and style. Very interesting, well-organized blog to which I want to go back there and back. What a FUN event and you look FABULOUS!!! Aww thanks for the really nice comment sweety! Love the outfit of yourse and those shoes are killing me! Wow, this event looks great! Love your tights by the way!!! lovely outfit! looks like a fun event :) thanks for your comment on my blog. thanks 4 your sweet comment on my blog dear. love your outfit , very nice style. thank u for your lovely comment! You follow me and i follow you? thanks for commenting on my blog..topshop is amazing! Love your outfit. Nice photos. i love how the shoes were hanged like that ! good idea for visual display merch. subject :) hehehe..
boots nya beli dmn fhen ? pakenya enak ngaaa ? ive been looking for a pair of stiletto boots ! Nice photos...It looks like we were having great time. thank you for dropping by my blog. What an interesting blog you have here..i love your outfit posts! Adore the leopard and black combo, I loathe when someone said animal prints are tacky, they just don't know how to dress it up with. YOu're a very good example! i really think leather jacket is cool stuff, easy to use, and make ur style more and more gorgeous! Thank you for your comment on my blog my dear =) Your outfit is gorgeous, especially the leopard print tights, I'm wearing some today too!! And that event looked so much fun =D I'm going to follow your blog, follow mine too?? we love leopard print tights! Your awesome tights are my favorite part! Great job! Looks like a really fun night/event! P.S. Thanks for your comment on my blog! wow love this outfit fhen. love how the shoes was displayed :) and love your zara boots! your tights are super cool! Hi Fhen! Thanks for leaving a comment on my blog! That looks like such a great event!! I think Singapore is such a beautiful (and clean) country from what I've heard! I grew up in the Philippines. life is good. how about yours? tar kalo pulang kita jalan bareng lagi yah. me miss you. I love your outfit, the leopard tights are cute! Oh wow! 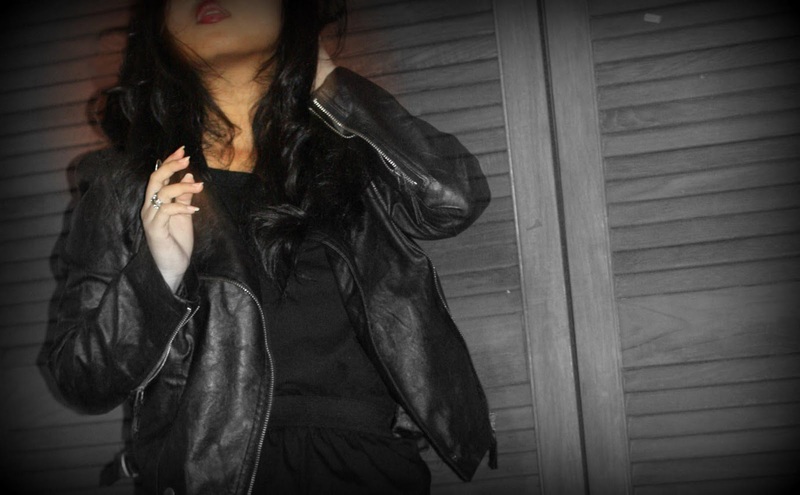 You've a very cool blog!!! :) Keep it up! Aaaah asik banget fhen! I do love puma so much :D Seems you had a lot of fun there. Btw, I heart your Boots! Liking the leopard tights, very brave but very cool! 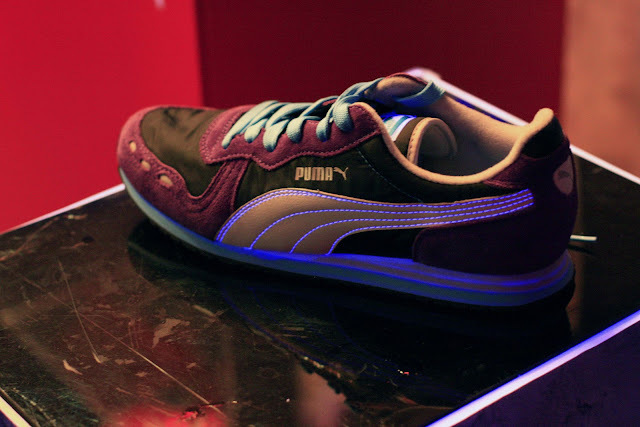 love the hanging shoes...and PUMA are really stylish and cool!!! envy you could attend that event! love your shots! A good pair of sneakers are always welcome! Amazing cute blog! Looks like a great event ci ! So envious . Haha . And nice outfit , really love your tights and shoes ! u look uber rock ci! I'm not much of a fan of Puma. Hi Fhen. love your outfit. I'm taking diploma in New Media in Rp. What about you? Its raining everyday. I wish it will start snowing instead of raining lol! Love the outfit from head to toe. You have an amazing style! :)I want your boot!LOL! 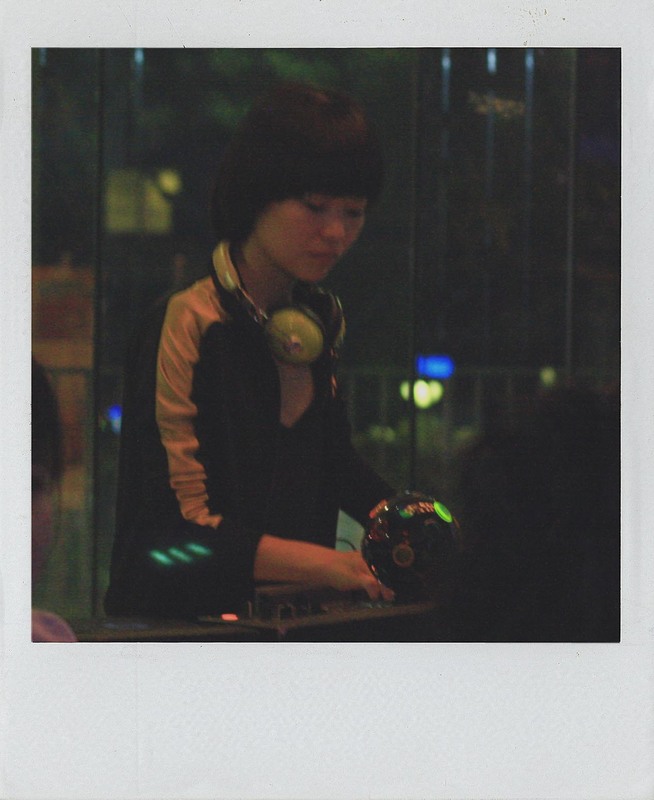 Brand events, DJs and people, great fun. hope you had fun!! Wow, sounds like a nice event, ci fhen! Oooh, those pairs are awesome. 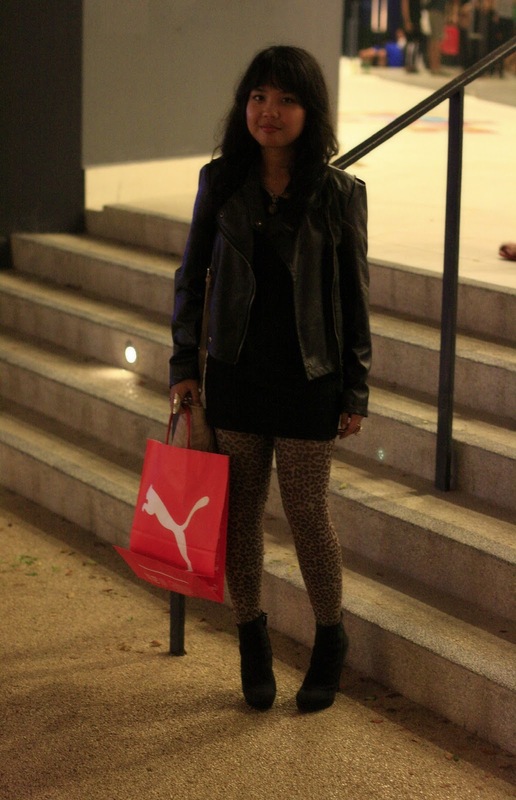 Coooooool leopard leggings, fhen and some fancy Puma shoes! Oooh I so love your jacket and your tights! Looks like a really fun event too! love the snickers hanging with the lamps... very cool! The event looks amazing, so much fun! 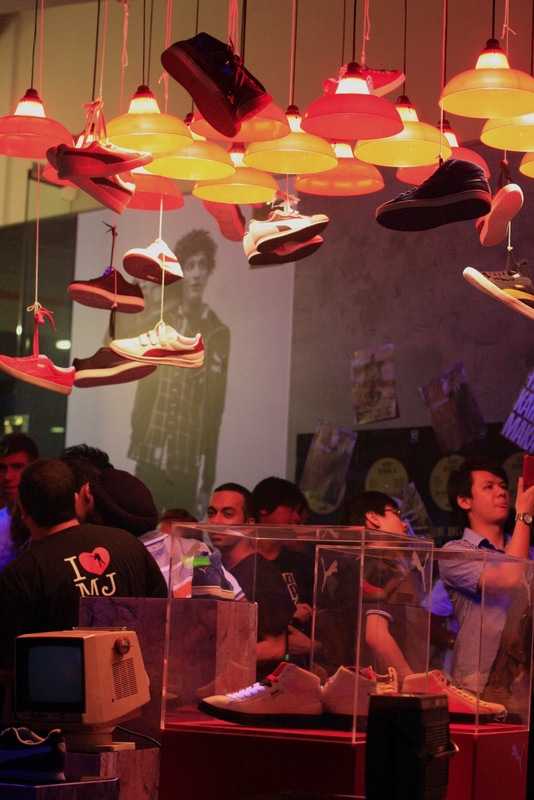 Loved the shoes hanging from the ceiling! And you look amazing :) gorgeous outfit! Love your leopard print tights! love the leopard on you. 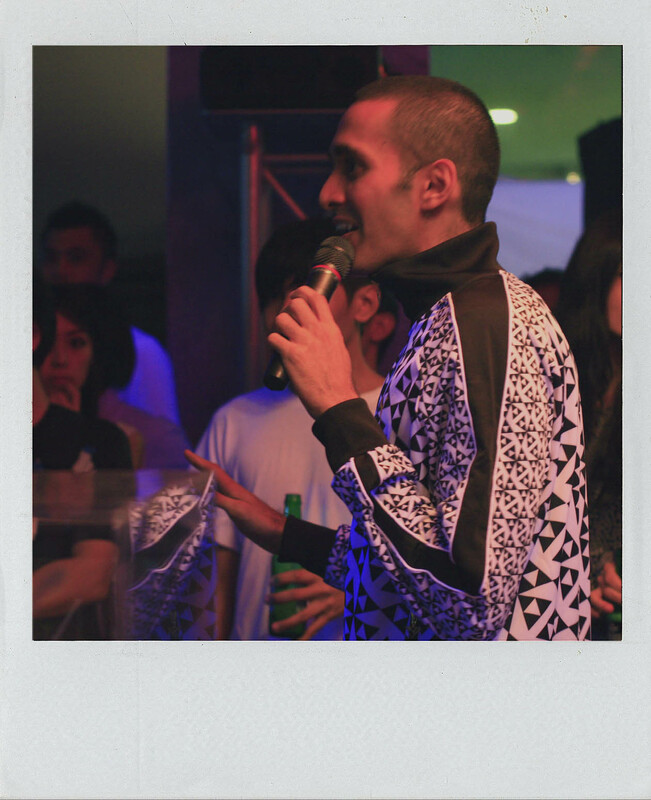 btw gorgeous, i'll hit jakarta super soon! Love the pumas on the ceiling, totally artistic! Awww thank you so much for your congrats!! You are too sweet! I am loving this outfit, esp those leopard tights! I love leopard tights!! HOT! Looove what you're wearing! 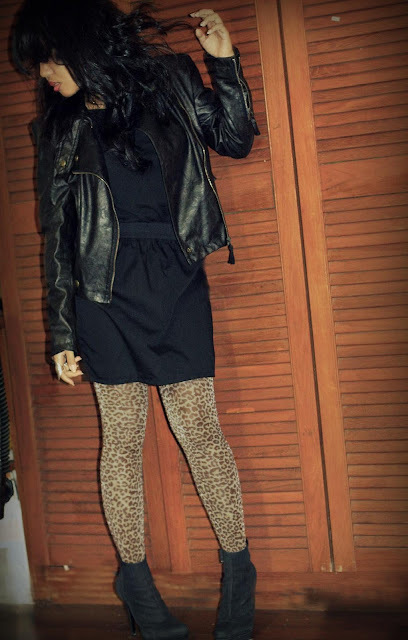 The boots and the leopard tights --> Awesome!